We are excited to share a new template for developers, GameHelper. This template helps you build game guides or user guides for your favorite game. In this tutorial, we will build a skill that tells you how to play chess. There will be five main interaction points that will provide information about how to play the game. The skill in this example will also have the ability to provide a user with a random tip to help improve a user’s game. For this game we also thought it would be interesting to allow the user to ask Alexa about a certain chess piece and get some information about it. This skill can be adapted to accommodate your favorite game, by changing some basic text. It is also possible to add extra functionality to show features of your favorite game. Create a decision-based skill - This tutorial will walk first-time Alexa skills developers through all the required steps involved in creating a decision-based skill using a template called 'GameHelper'. Make sure the radio button for the custom interaction model is selected for “Skill Type”. Add the name of the skill. You can use “Game Helper Skill” for this example. Remember, when you create a skill that you will publish, you will use a name that you define for your skill. That name will be the one that shows up in the Alexa App. Add the invocation name. Since we are using the sample, type “game helper”. Select Next. Next, we need to define our skill’s interaction model. Let’s begin with the intent schema. In the context of Alexa, an intent represents an action that fulfills a user’s spoken request. Intents can optionally have arguments called slots. 1. First, you will need to download the sample repository. Download the GameHelper Template and extract it to a local directory. 2. In the newly extracted template directory, go to the speech assets folder. Copy & paste the contents of Intent.json into the Intent Schema field. 3. As part of the PieceIntent we are using a custom slot type, so the next thing we need to do is define this new slot type, to restrict the range of responses Alexa expects from a user. You do this by clicking the ‘Add a slot’ button and entering the details for a ‘ChessPiece’ slot type as shown below. 4. Click OK to save the slot, and you should see the slot listed. 5. Next we need to define the utterances. These are the phrase structures you want a user to speak. Copy & paste the contents of the Sample Utterances text file into the Sample Utterances field. Here is an example. 6. Click Save and you should see the model being built (this may take a minute). Then click Next. Now we need to create our AWS Lambda function to host our skill logic. To leverage the SDK for ASK you will need to install Node.js and update npm. To set this up on your machine, follow the steps described. Navigate to where you downloaded the sample repository and installed the Alexa SDK in step 3. Select the src directory. You should now be in the "Configure Function" section. Enter the Name, Description, and Runtime for your skill. Select the ‘Code Entry Type’ as ‘Upload Zip File’ and upload the zip file containing the example you created at the end of step 2. Note: This zip file should contain the contents of the src directory, including the node_modules subfolder, and not the src folder itself. Drop down the “Role” menu and select “Create a custom role”. (Note: if you have already used Lambda you may already have a ‘lambda_basic_execution’ role created that you can use.) This will launch a new tab in the IAM Management Console. Congratulations, you have created your AWS Lambda function. Copy the ARN for use in the Configuration section of the Amazon Developer Portal. Select the Configuration section. Add the ARN from the Lambda function you created in the AWS Console at the end of step 12. Select the Lambda ARN (Amazon Resource Name) radio button. Then, select “No” for account linking since we will not be connecting to an external account for this tutorial. Paste the ARN you copied earlier into the Endpoint field. Then select Next. In this example we have called the skill ‘chess helper’ – This is the ‘Invocation Name’ we added when we set up the Skill. Enter ‘open chess helper’ and select Ask. If you look at the speech output in the Lambda response you can continue to have a conversation and test out the skill by entering responses to the questions and pressing ask once more. Assuming your Echo device is online (and logged in with the same account as your developer account) you should now see your skill enabled in the Alexa Companion app and you should be able to ask Alexa to launch your skill. Review the publication guidelines for functional tests that can be performed. Not working? Are you getting an invalid response when testing your skill? * Do you have the right ARN copied from your Lambda function into the skill in the developer portal? Are you using the correct invocation words to start a skill? Are you sure there are no other skills in your account with the same invocation name? The endpoint must supply an SSL certificate signed by an Amazon-approved certificate authority. The endpoint must also allow cross-origin resource sharing (CORS). This allows Alexa to request the images for processing before they are displayed on the home card. 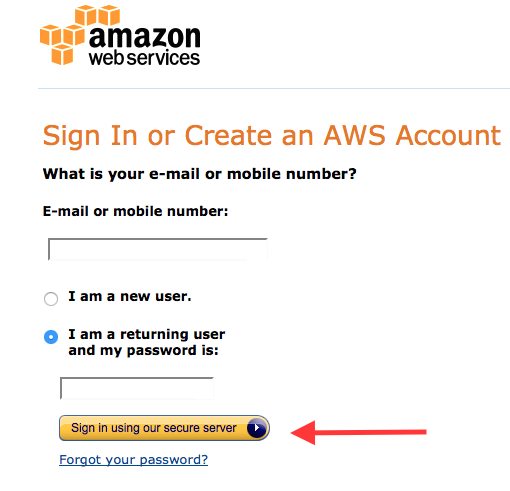 In this tutorial, we opted to use Amazon S3 to host the images needed. We simply created a new bucket and uploaded the images. You must then change the permissions of the images to be available to the public. Finally you must configure the bucket to enable CORS. A tutorial for this can be found here. This intent gives an overview of the game, some basic rules etc, it simply returns the value stored in the ‘overviewMessage’ variable. This intent should describe how to set up the game, so for example in a poker game how many cards does each player get etc. This also returns what is stored in the ‘setupMessage’ variable. This intent should describe how you can win the game, for example how would you win a game of Blackjack? This returns the value store in the variable ‘goalMessage’. The tips variable is an array of string values, you can add as many or as little of these tips as you like. However, it may be worth noting that the more tips you have in this list, the chance of the user hearing the same tips becomes smaller. As in the example above, each object in the list is made of three fields, a key, which we use to store the pieces name. The object also has an image field, this is used to store the image URLS (one for small images, one for large images) which can be used to show on the skills card in the Alexa app. Finally we have a value field, this is used to store any information about that piece. // Using the slot value, search the list of piece objects and find the one where the key is the same as slot value. // set the output text to the value field of the found object. Not seeing your images on the home card? "largeImageUrl": " some url to image "
If you copy and paste either the smallImageUrl value or the largeImageUrl into a browser, can you see the image? Does the card part of your response have the same format as the card section above? Does the hosting endpoint support cross-origin resource sharing (CORS)? Do your images conform to the standards described here? Can you see if you can read in the tips from an external JSON file? Can you use Dynamo to store who won the game last time? Can you save the information of the people you usually play with? i.e John always like to be the car when playing Monopoly. Can you incorporate your user profiles into the “Set up” section of the game? Can you create a leader board, and create a Scoreboard Intent? How would you tackle a game like Magic the Gathering? If you need a reminder of how to complete the Publishing Information or Privacy and Compliance, please see one of our earlier tutorials. We look forward to seeing the new skills you will create with this template. And don't forget to get your free Alexa dev t-shirt. See terms and conditions.